Entirely free of plant protein concentrates, ACANA Pork & Squash is loaded with 50% Yorkshire pork—up to twice as much meat as most limited ingredient foods. Plus, all our pork is deemed fit for human consumption prior to inclusion in our foods. 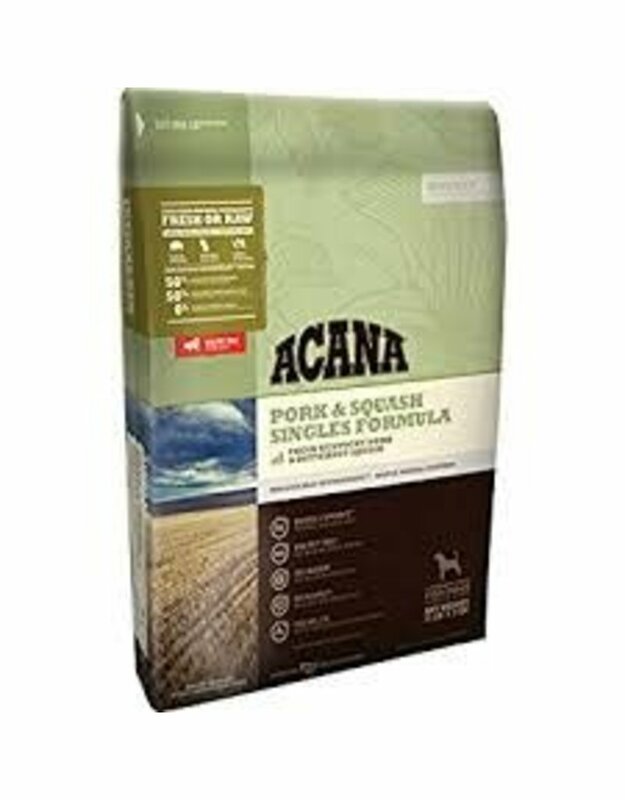 1/2 of the pork in ACANA Pork & Squash is FRESH, supplying essential nutrients in their most nourishing form. Fresh means never frozen, so refrigeration is the only way we preserve our fresh meats, The other 1/2 is dried or fats to provide a strong and natural source of nourishing animal protein and fat. 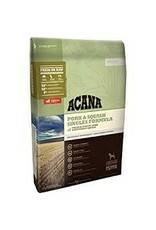 ACANA Pork & Squash features one single, easily digestible animal protein. Fresh pork meat, organs and cartilage are delivered each day in WholePrey™ ratios and supply virtually all the necessary nutrients, vitamins and amino acids naturally and completely.